Video marketing is one of the best ways to breathe new life into a business. Many business owners see the potential in video marketing, but have limited knowledge of how to use it successfully. That is where you differ from them. You'll know how to make video marketing work for you with the advice in this article. The content of your video plays an essential role in its success. The equipment you use to shoot the video does not determine how many will view it. People watch videos that are alright if they have relevant information that they think is important. Still, you want to buy the best camera you can afford. People like honesty! Only make videos about subjects that really interest you or causes you really believe in. Adopting a more transparent, candid tone will come across to viewers as an indication of reliability and trustworthiness. There is a great deal of promise that video marketing can bring to a business. Lots of business owners realize this, but they are missing one key element needed to use video marketing. You now have that key element. Put it to good use and make video marketing your most successful business strategy. One of the best ways that I've found to share ideas, and strategies is through On Air Hangouts. You can learn more about this by clicking the image below and setting up a good time to get on a Hangout with me! Congrats on hitting 13k frustrated network marketers! I'm so excited to announce that the FRUSTRATED NETWORK MARKETERS Facebook group has hit 13,000 members. We've built it right, no shortcuts. I've taken this group from 10k members to 13,000 and it's been a struggle, and yes even frustrating at times, but totally worth it. Now that The Top Presenter is in Beta, and I'm offering daily Hangouts where I invite my members to come on a live on air hangout as seen on our Welcome Page, to share their Frustrations, ask some questions, and even make some suggestions. I've yet to join a Facebook Group that rewards it's members with FREE eBooks, or that provides the VALUE that I've provided FNM. I'm so proud to be a Frustrated Network Marketer, and hope that we can continue to grow, and that my vision of creating more successful members will soon outweigh the frustration, allowing us all to be OK with the struggle, knowing that that's part of life, and we can either Resist it, or Persist through it. I sure hope you choose to Persist through it with us, and take your marketing to the next level with me as we venture into making The Top Presenter the very best Resource for people to think of when researching the BEST company and person to join. First thing is first, you've got to flip the switch in your mind so that today will mark the beginning of your journey to filling that gap from where you are to where you want to be. Tomorrow will come, but if you're relying on it to be different today, you'll be left discouraged and stagnated. Fact is if you've got something you've got to do, then get to it that's it PERIOD. The action you take will overcome any and all fear with the repetition of pure action. That's it, that's the secret sauce in a nutshell. If you're tired of the same results, get off the wheel, break the cycle, do something different to get different results. But what if it's worst, hey at least it's not the same. If you've been playing it safe up to this point in your life, then how much worst can it be if you're unhappy with your current situation. Fact is, failure will only hurt you in the moment, but the regret of the unknown can be taken to the grave with you. The way to weigh out risk goes something like this, if it's financial, ask yourself if I spend X amount of money how long till I can earn it back if I lose it all? If it's got to do with something else, ask yourself will it kill you, and if not, will it be something that you will always regret not doing if you don't just do it now? #1 place for Affiliates to share million dollar companies products, services, and info products that pay generous commissions. Free to become an affiliate for them. Free to be an affiliate, and the app costs $9.99 / mo to help you sell it better to other companies or small business owners. This is a traffic site that teaches you how to use Clickbank effectively. One time payment of $35. Free to join as an affiliate and gives you access to promote thousands upon thousands of items from toys to electronics. Commissions will vary. No Cost to Join, They pay you and your referral $20 each. The most popular site for purchasing domains. They pay a commission per person who you refer. Free to be an affiliate. Free to join and get access to 1new info product each month, earning you 100% commissions, or give it away for free after capturing their info to build your list. Free to join, and you can promote other people's offers for up to 100% commissions. Most popular Autoresponder that most marketers use. Pays 30% commissions. Free to become an affiliate. 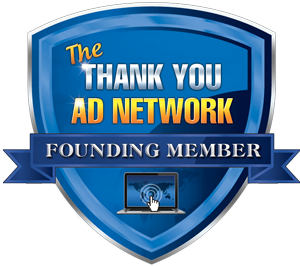 Free to join, and 1 of the largest sites online where you can make $ as an affiliate promoting others stuff. Many people select to advertise on Facebook, matter of fact millions are paid on pay per view ads, and pay per click ads, yet there's no real guarantee that you'll sell more, sign up more business partners, or even break even, so this is why you should advertise here with us. When you click on the advertise here pic above you'll see 12 reasons why you should advertise here with us. I'm going to highlight just 3 reasons why in this blog. You will be Interviewed in a Google Hangout, recorded and pinned on the top of the Facebook Group that you're Sponsoring. This alone will give you instant credibility among your colleagues and set you apart from others in your company and industry, as you will be edified as the go to person in your company. Your Business Banner will appear on top of the Facebook Group that you're Sponsoring, giving your business the ultimate spot light, which means people will automatically see you as the person to join. Regardless of what's your business, we will match you up with a group that meets your Target Market needs. For now, we've got 4 Facebook Groups available to Sponsor, but we anticipate having many more to choose from. In addition to whatever you're offering the group, we offer them a free e-book on our welcome page your behalf and we ask if it's OK for our Sponsor to contact them in regards to their product or service. This serves as another layer above and beyond whatever you choose to offer the group. Now in closing, remember however you choose to market your business online, you will want to be where your target market hangs out, and this is why sponsoring a Facebook group with us can make the most financial and strategic since to do. After all is said and done, Facebook is where the world goes to socialize, sure there's other social networks but at the end of the day, it's still the largest and most popular place to network with people. Imagine being able to put your business on a banner in the busiest city in your country, this isn't even close to what you have here, because those in the group are people who are like minded and looking to make money online. These were only 3 reasons for why you should advertise here, I sure hope to be of service to you and your business needs. It is almost a necessity for an online business owner to have a blog these days. There are all types of blogs out there: informative blogs, personal blogs, and marketing jobs, to name a few. Now businesses have to compete using these blogs to receive a higher ranking in the search engines. In order to have a successful blog, you will need to insure that it is well-written. You will also have to check to make sure it is designed well and that you can update it frequently and regularly. You need to take the time to research and know your audience before you start so you can be sure to target them appropriately. But what if you are not trying to start a blog for business purposes? How can you create a blog that is successful if you just want to have a blog? There are some tips you can apply to help insure that your blog will do well. own personal online journal or you can use it as your forum to comment on the news. your talents, knowledge, and ideas. blog will help more people to find it through search engines. they will be evaluating your credibility. If you are offensive, you may lose readership. there or join forums related to your topic and share your link with others. serving as content writers and prove to be beneficial to blog owners. Below you will find the Creating and Writing your Blog Audio E-Book below. It's yours free when you fill out the form below. Continued success on creating a successful Blog! If many of you would like to build your Facebook Network, I'd suggest you ask this 1 Question: "Would you like me to invite you to a facebook group with over 11,700 people?" That question can be asked when you're in My F.N.M. Group. If you ask that to 5 people every day, that's 150 new people to to build an online relationship with. You may or may not have a business that you're passionate about, but regardless, you must learn 2 mix it up to keep things fresh and appealing for your audience. Whether you've got one or not is irrelevant, the key is to act, speak, and write "AS IF"! Same way you wouldn't simply keep playing the same song over and over again if you were a Club DJ, is the same way you should regard your business, after all in order to Master anything, you've got to be wiling to Fall flat on your FACE! Making cash online can't and shouldn't be any different. Once you begin finding your groove, your niche if you will, you will learn 2 mix it up a bit here and there.